With director Amandine Gay in conversation with art historian Sandrine Colard and poet/scholar Sylvie Kandé as respondent. In this installation of the 21st Century/New African and African Diaspora Writings and Arts Series, women of African descent in France and Belgium converse about what it means to be a woman today and belong to the Afro community in the documentary film Speak Up (Ouvrir la voix) (2017, 122 min.). By sharing their experiences and aspirations for the future, they speak up and take control again of their own representation. Amandine Gay is a political author. Following her graduation from the Institute of Political Studies in Lyon, France in 2007 with a masters in communication, Amandine joined the Conservatory of Dramatic Art in Paris 16 and began performing in theatre and television. Since 2012, she has also been working as a screenwriter and contributing as a freelance journalist for Slate.fr. In 2014 she took on directing with a reportage on the #BoycottExhibitB demonstrations, and that same year, she started working on her documentary, SPEAK UP, a feature-length about francophone Black women. Most recently, Amandine authored the preface of the first French translation of bell hooks' seminal, Ain't I A Woman. She is currently living in Montreal, completing her second master's degree in sociology, focusing on transracial adoption. She is a director, writer, freelance journalist and speaker. She is regularly asked to speak about Afro-feminism, intersectionality and adoption at events such as the Toronto and Winnipeg Spur Festival. Students were able to hear her at the University of Edinburgh, Université du Québec à Montréal, University of Ottawa, University of Lausanne, Université Lumière Lyon 2, École de Recherche Graphique in Brussels, and the École des Hautes Études en Sciences Sociales in Paris and others. SPEAK UP is born out of my desire to occupy public space and to explain why the intersection of discriminations faced by Black women in France and Belgium is as problematic as it is political. SPEAK UP is my response to the need for Black francophone women to reclaim the narrative since we are too often silenced or presented as passive victims. This is also a celebration of our diversity as Afro-descendants: Black women born in France and Belgium, or elsewhere, from French, Belgian or immigrant parents, from all kinds of paths, faiths, sexual orientation, etc. SPEAK UP is a political portrait of Black women in francophone Europe, revealing the complexity and diversity of our lives and identities. Beyond personal anecdotes lie the political issues that Black women have to face. That's the reason why I chose the form of a conversation through intertwined narratives so that my experience could be nuanced and enriched by that of other Black women. SPEAK UP is my way of celebrating the history of Black women resistance, who, since marooning, through creolity, pan-Africanism, negritude and Afro-feminism have always invented tools enabling them not to be silenced. This is for those who fought before us and a testimony to those who will come after us. 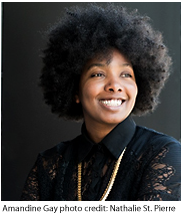 Sandrine Colard is Assistant Professor of African Art History at Rutgers University-Newark. She holds a Ph.D. in art history from Columbia University, and a M.A. in Africana Studies from New York University. 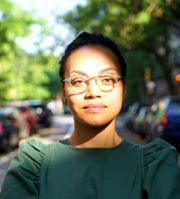 Prior to joining Rutgers-Newark, she was a post-doctoral fellow at the Institut National d'Histoire de l'Art (INHA, Paris, France) and a Provost Post-doctoral Fellow at the NYU Tisch School of the Arts. Dr. Colard is a historian of modern and contemporary African arts and photography, with a focus on Central Africa. Her scholarly interests include post-colonialism in the arts, portraiture, vernacular photograph, the representation of gender and domesticity, and the globalization of the contemporary art scene. Dr. Colard is an international lecturer (Concordia University, EHESS, Wiels, Bozar, European Parliament) and the author of multiple publications (African Arts, Critical Interventions, L’Art Même, Cahiers du CAP, Cultures et Musées). Her writings include contributions to exhibition catalogs such as Sammy Baloji: Hunting and Collecting. A Research Project (Mu.ZEE, Ostend, 2016), and The Expanded Subject: New Perspectives in Photographic Portraiture from Africa (Hirmer, 2016), for which she was co-curator at the Wallach Art Gallery (New York, 2016). Her research has been supported by numerous fellowships, among which that of the quai Branly Museum. Based on research conducted in Belgium, Kinshasa and Lubumbashi (DRC), her current book project examines the history of photography in the colonial Congo (1885-1960). Sylvie Kandé teaches at SUNY Old Westbury. 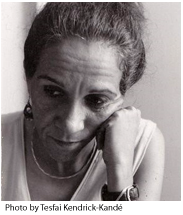 Born in Paris to a French mother and a Senegalese father, Kandé is the author of three collections of poetry published by Gallimard including Gestuaire and Lagon, lagunes. Tableau de mémoire. Gestuaire examines gestures—gestures of life, gestures of death, of infinite love or absolute violence—as a language. Lagon, lagunes. Tableau de mémoire evokes the journey of a woman who takes stock of the manners in which history and the dominant gaze have shaped her “métisse” identity. Trained as both a literary critic and a historian, she is also known for her work on the complex conversations that have taken place between Africa and Europe and Africa and its Diasporas. Her areas of specialization include métissage/hybridity and post-racial utopias.